A waffle iron is honestly something I never considered purchasing. It only seems fit to do just one thing, and I prefer to have things that can be used for many purposes. We received one as a gift though, and I have to admit, it does its one thing very well. 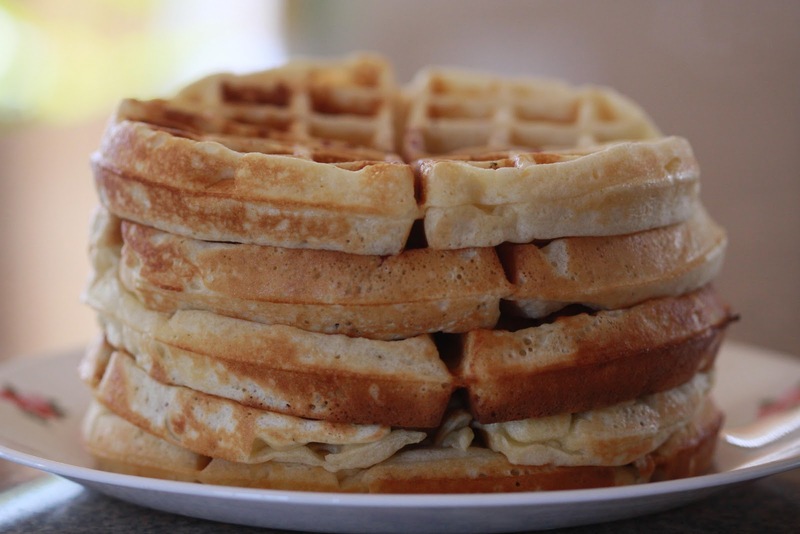 When I make waffles, I mix a huge batch and freeze the extras (already cooked). Just pull them out of the freezer and let them sit on the counter for a bit while heating an oven to 350 degrees F. Place them on a sheet pan and let them warm in the oven for about 7 minutes. They're even more delicious reheated, as the outside gets nice and crispy! A couple handfuls of seasonal fruit when available. We like blueberries the best, with raspberries being a close second. Strawberries get too mushy for our taste, but work great as a topping, either fresh or as strawberry syrup. 9. 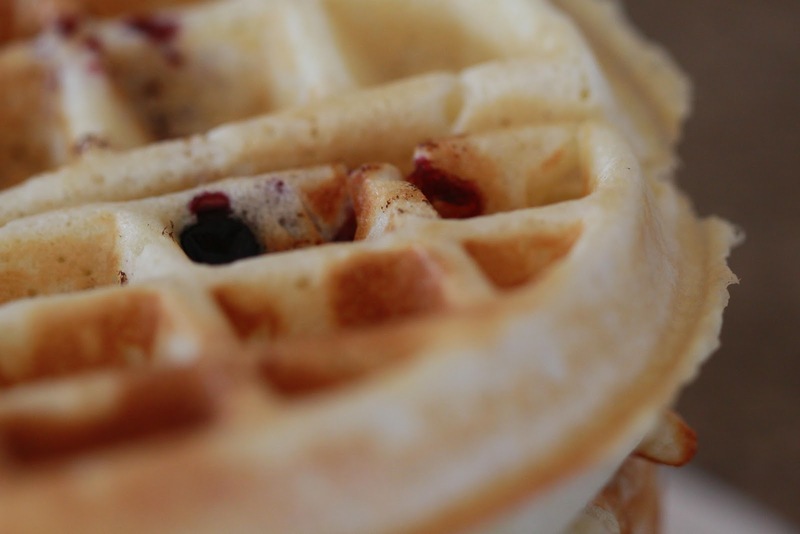 Brush the waffle iron with oil after each waffle is cooked. The waffles lose their outer crispiness if not eaten right away, so eat them as they're made, or keep them warm in a low temperature oven. I may not have a cell phone but I do have three different styles of waffle irons and Love to make many varieties. I too freeze mine and it is a way to have goodness for breakfast no matter what is going on at the farm. I found several new recipes that I love and bring a smile to this sleepy girl when on baby watch during the bitter cold winters. Nothing better then a waffle iron.